A world of chocolate: Sophie’s map included tea, coffee, chocolate, and sugar to remind us that these ‘new world’ products transformed the habits of old Europe. 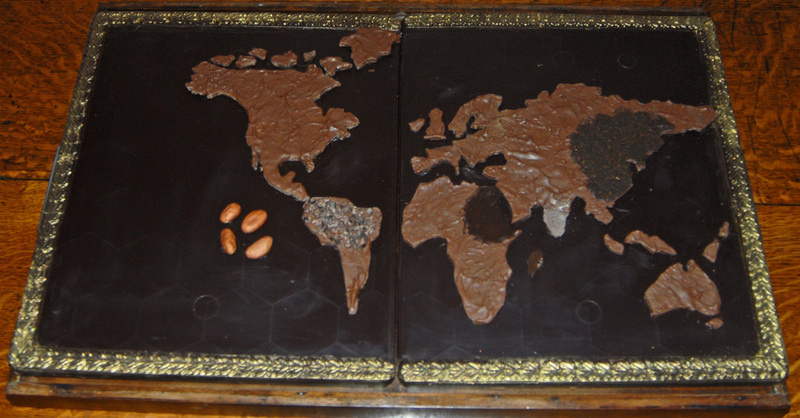 What better way to mark the first of our public lecture series, ‘Cultural Encounters: Travel, Religion, and Identity in the Early Modern World’, than with a chocolate map of the world, prepared for us by Sophie Jewett of the wonderful York Cocoa House? We’re hugely grateful to Sophie not only for her chocolate cartography, but for serving up delicious drinks made in accordance with two early modern recipes — one for hot chocolate, dating from 1644, and one, from 1710, for a pretty potent chocolate wine. Michelangelo Merisi da Caravaggio, Martha and Mary Magdalene, c. 1598. Detroit Institute of Arts, 73.268. 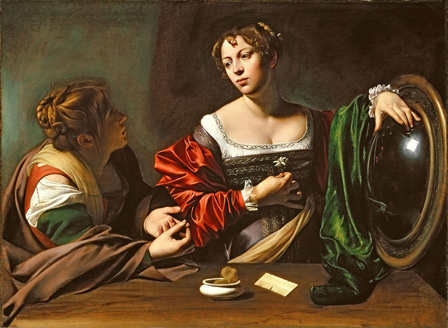 When the Conversion Narratives team went to Fort Worth, Texas for the Sixteenth-Century Studies conference in October last year, we were lucky enough to catch an incredible exhibition, ‘Caravaggio and his Followers in Rome’ at the magnificent Kimbell Art Museum. We particularly enjoyed the chance to spend some time face-to-face with Caravaggio’s potent image of Martha and Mary Magdalene, often called ‘The Conversion of Mary Magdalene’.